As we gear up for another exciting year of ExecIn, a sub-conference exclusively for procurement leaders at ISM2019, it’s time to introduce another one of this year’s prestigious guest speakers: Janet Yellen, also known as former chair of the Federal Reserve. A classically-trained economist hailing from Brooklyn, New York, Yellen gained her degree in economics from Brown University in 1967, later gaining her PhD from Yale in 1971 under the supervision of Nobel Laureates James Tobin and Joseph Stiglitz, known for their Keynesian and Georgist public finance theory respectively. 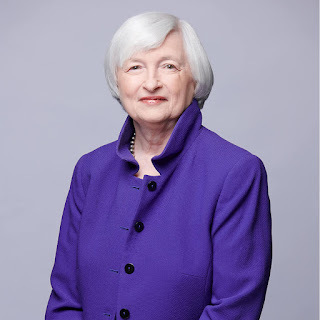 In her economic profession, Yellen served at Harvard University, the London School of Economics, the University of California at Berkley, as well as the Federal Reserve Board of Governors, American Economic Association, and Bill Clinton’s Board of Economic Advisers during his presidency. From 2004 until 2010, Yellen served as CEO of the San Francisco Federal Reserve, later being appointed as Head of the Federal Reserve in 2013 by then-president Obama; succeeding former chair head Ben Bernanke in his role. Besides becoming the first female to head the Federal Reserve, Yellen was also the first democrat to head the reserve since 1979. During Yellen’s tenure as head of the Federal Reserve, she defended injecting $3 trillion stimulus funds into the U.S. Economy, later allowing monetary policy to revert to its traditional practices as the economy stabilized. Economically concerned with unemployment rather than with inflation, Yellen oversaw a record drop in unemployment, the greatest since 1948. As a Keynesian economist, she advocates for using monetary policy over business cycles in stabilizing the economy. Interested in learning more about Yellen’s career and her astute economic advice for strategic sourcing and procurement professionals? Then join her keynote presentation at ISM2019! For senior-level executives attending the Annual Conference, be sure to reserve your seat at ExecIn. The two day sub-conference is designed specifically for senior leaders of non-consulting organizations with an annual revenue of over $1.2B. Including private keynote presentations and sessions centered on talent and supply management strategy and trends, You don’t want to miss ExecIn! To learn more about participating, contact Carole Boyle (cboyle@corcentric.com).